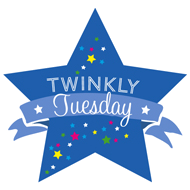 Toddler Thursday: Biting | How Do You Do It? My guys bit each other too, though I am not quite sure when it started (maybe around the same age). Soon after I saw them biting each other (not the “I’m teething an I am going to gnaw on my sibling kind of biting”, but the other kind) I bought the book “Teeth are not for biting”. We read it together and whenever one bit the other, I would break it out and we would read it on the spot. There is a line in there that says “Ouch, biting hurts” and I would say that whenever they bit or tried to bite. The behavior went away pretty quickly once we gave it some context. There is also a similar book called “Hands are not for hitting”. Hitting has taken longer to phase out, but the book has been helpful too. My daughter has a habit of biting more often when she’s teething. (I only have one, so no sibling biting) She also bites when she gets really excited. We did something similar and pretended that we really got hurt. She learned what a boo boo was and will now kiss our boo boos and the biting has diminished. If she gets in a mood, we do use a time out. Good luck.